How many of you would like to avoid having a colonoscopy? Colorectal cancer is the second leading form of cancer in the United States. It is diagnosed in 130,000 people each year in the United States alone. Current research links obesity with increased risk of colorectal cancer. These findings suggest that a high calorie diet turns of a key hormone that is secreted in the intestines, which deactivates tumor suppression. Lifestyle is extremely important in maintaining gut health! 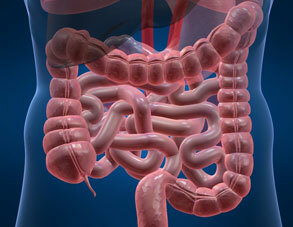 Doctors also recommend regular screening for colorectal cancer prevention. Fortunately, there are some great alternatives for screening. First is the sigmoidoscopy. The scope is only two feet in length with two bends. The procedure takes only 10 minutes and costs only around $200. A client informed me of another option, which is an easy to use stool DNA test that can be done at home! You simply collect a stool sample which is mailed to a lab for diagnosis. The lab looks for DNA markers that indicate the presence of collateral cancer. There is no special preparation, no diet changes, and no time off work or play! Cologuard is available by prescription only, so you will have to see your doctor in order to get the kit.